Star Wars books are my favorite reads when I want to read something fun and exciting in a universe I’m familiar with, and while I spent a lot of my teenage years reading the Extended Universe, I’ve been interested in a lot of the new stuff that’s come out since Disney got involved with Star Wars and began this new trilogy. I read Star Wars books to add more to my movie-watching experience, and more often than not, the Extended Universe, the new canon, and the movie novels add more depth to the stories unfolding on screen. 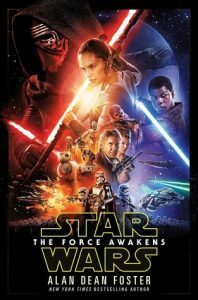 However, the novelization of The Force Awakens reads almost exactly like the film, the only differences being the a small handful of additional scenes and the lack of humor and vivacity in other scenes. It’s definitely worth reading to find out a little more backstory on Poe Dameron and how he got to Jakku, as well as a little bit more emotional background for Kylo Ren (but if I’m honest, Kylo Ren is my least favorite character, and I don’t really care one way or another what happens to him). Other than that, it’s an easy read, very much like the film, and I was able to read it in an afternoon! I have been terrible at keeping up with blog reviews ever since late last year, so I am playing catch-up now and make more of an effort! I felt like I was doing really well for a while, and then a whole bunch of things happened and my brain just kind of went blah and that was that. ANYWAY, onward to these short but sweet reviews. 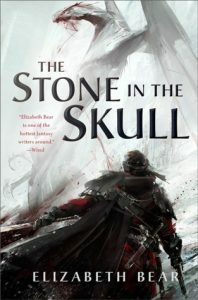 Elizabeth Bear’s The Stone in the Skull is the start to a lush fantasy trilogy that felt a lot at times to be the fantasy counterpart to Ursula K. Le Guin’s The Left Hand of Darkness as it explores gender and identity against the backdrop of political intrigue and upheaval. I hadn’t realized it is the start to a sequel trilogy of a previous series of Bear’s. While I think that I probably could have benefited from being a little more familiar with the world before diving into this one, I don’t feel like I was alienated in any way from the enjoyment of The Stone and the Skull‘s story because this story is set several decades after the first trilogy. My only issue with the book was that it took too long for the heart of the story to really reveal itself. 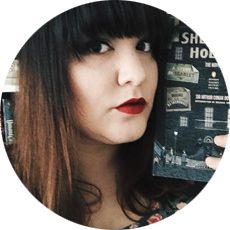 I was more than halfway through the book before I felt as if I could connect with almost any of the characters. My favorite characters, however, are the Gage and the Dead Man, so I’m looking forward to seeing how their story progresses in the rest of the trilogy! Review copy provided by Netgalley/Tor; all opinions are my own! 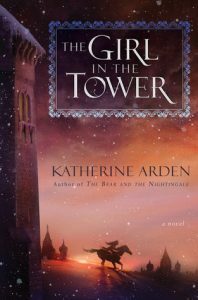 After I finished reading The Girl in the Tower, all I could think was wow, what an amazing followup, because much like The Bear and the Nightingale, Arden’s second title in the Winternight Trilogy satisfies some of the questions left at the end of the first book and leaves a lot of questions to be answered in the upcoming final book. The writing and atmosphere is both foreign and familiar, like a fairy tale you’ve only heard on the peripherals of the familiar stories we’ve grown up with. Arden expertly weaves and subverts those familiar fairy tale tropes while managing to make her tale fresh and exciting. 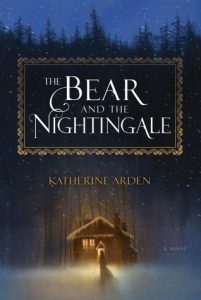 After such a stunning followup to the already incredible The Bear and the Nightingale, I’ll certainly be picking up anything Arden writes in the future without any hesitation. A review copy provided by Netgalley/Del Rey; all opinions are my own! 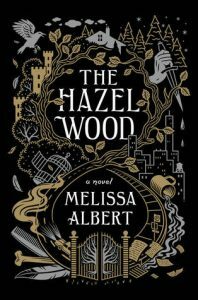 Melissa Albert’s The Hazel Wood turned out to be everything I’ve been hoping for lately in recent YA fantasy. Dark fairy tales, believable characters, and all of those twists and turns to keep you glued to the page. This is a fairy tale about a mother-daughter bond and the strange, wild lengths one goes for family and truth. The major issue I had with this, though, was the pacing. The first half is a little slower-paced, allowing for us as the reader to get to know Alice and the world in which she leaves and the world she was told to avoid, but the last half had so much going on in it that I felt a lack of development for the Hinterlands. Knowing now that this is the first in a series, I’m hoping we get to see more of the Hinterlands in later stories because I wanted to know more! This is going to be perfect if true-to-the-source dark fairy tales are your thing and for those who enjoy a well-crafted YA fantasy. A review copy provided by Netgalley/Flatiron Books; all opinions are my own! If you fall in love with someone, there’s a good chance the person won’t love you back. Hatred, though, is usually mutual. If you despise someone, it’s pretty much a given they’re also not your biggest fan. 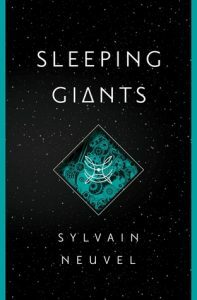 Sylvain Neuvel’s Sleeping Giants is the story of a girl named Rose who falls into a pit in the middle of the earth in South Dakota, and when she wakes up, she discovers a piece that’s part of a very large robot. Told through a series of interviews, we see from different perspectives the discovery of more of those robot parts and the dawning realization that there is no possible way that humans built this thing. The question remains – who did? Where did this robot’s creators originate? Why was Earth chosen as a destination point for this machine? Are there more? I enjoyed the style of this book. It reads quickly, and I was constantly turning the pages to see what happened next. The biggest frustration, and it seems relatively minor in the grand scheme of things, in reading stories through the eyes of interviews, articles, and detached narratives are that we’re forced to piece together what happens behind the scenes and who these characters are in relation to the story at hand. When the interviews jump ahead in time by months or years or whatever, I was left wanting to know more about the in-between times, which isn’t a bad thing in the end, because the jumps kept the story moving forward and I don’t think anyone wants a 700+ book of interviews detailing every exact thing. I just enjoyed Neuvel’s world-building so much that I wanted that extra stuff. I’ve got the sequel ready to go, so I’m hoping for more greatness! It’s billed as something for fans of The Martian, but I think it’s more in line with Pacific Rim and any other machina science fiction. For a debut novel, I was impressed with Neuvel’s scope in his world-building, detail, and character development. It’s a solid novel that feels like it’s been written by someone who has been doing this sort of writing for a long time. I really enjoyed it, and I think it’s a thrilling read for people who love science fiction and for people who love a good thriller. The Earth is dying.Darrow is a Red, a miner in the interior of Mars. His mission is to extract enough precious elements to one day tame the surface of the planet and allow humans to live on it.The Reds are humanity's last hope. Or so it appears, until the day Darrow discovers it's all a lie. That Mars has been habitable - and inhabited - for generations, by a class of people calling themselves the Golds.A class of people who look down on Darrow and his fellows as slave labour, to be exploited and worked to death without a second thought. Until the day that Darrow, with the help of a mysterious group of rebels, disguises himself as a Gold and infiltrates their command school, intent on taking down his oppressors from the inside. But the command school is a battlefield - and Darrow isn't the only student with an agenda. I read this book over the summer on the way down to Florida to go on a cruise. I found it a fast, fun, engaging read, and I’m looking forward to reading the rest of the trilogy. It draws on a lot of popular series in fiction, and that’s all right, because I think Brown does an excellent job reinventing and reimagining those tropes. 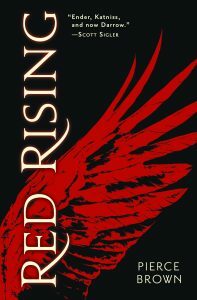 If you enjoy the Hunger Games and want something deeper and like the intrigue of Game of Thrones, I’m sure you’ll like Red Rising. Darrow, the main character, is born on Mars and mines beneath the surface. He’s of a lower caste than others, but then he’s modified, becomes perfect in the eyes of the law, and is chosen to be sent to an arena-sized game board to fight for dominance. Through his transformation from someone of a lower caste to someone in a higher caste, we get an insight into the unfairness of class treatment and the effects it has on society as it trickles down. During Darrow’s transformation, we also get political insight into why the Reds are Trojan horsing themselves into the upper castes. For freedom, mostly, and that’s what a lot of the “lesser” people in any society tend to fight for. It’s a little unbelievable sometimes, even for science fiction, but I liked how Brown didn’t take the time to explain all of the foreign details straight away. He uses words, phrases, technology, and ideas (like headTalk, helldiver, and frysuit), and incorporates them into the story, building upon them and expanding our horizons as he does so. Not everything should be explained right away. Good exposition does that for us. Sometimes the writing seems a little melodramatic and over-the-top, but I think it’s supposed to be that way. Upper classes often puff themselves up and make themselves seem more important than they really are, using frivolous language to embellish everything.